Devco can assist your company with comprehensive BIM (Building Information Model) services. Our talented BIM professionals have completed numerous projects with MAP coordination over the last decade. 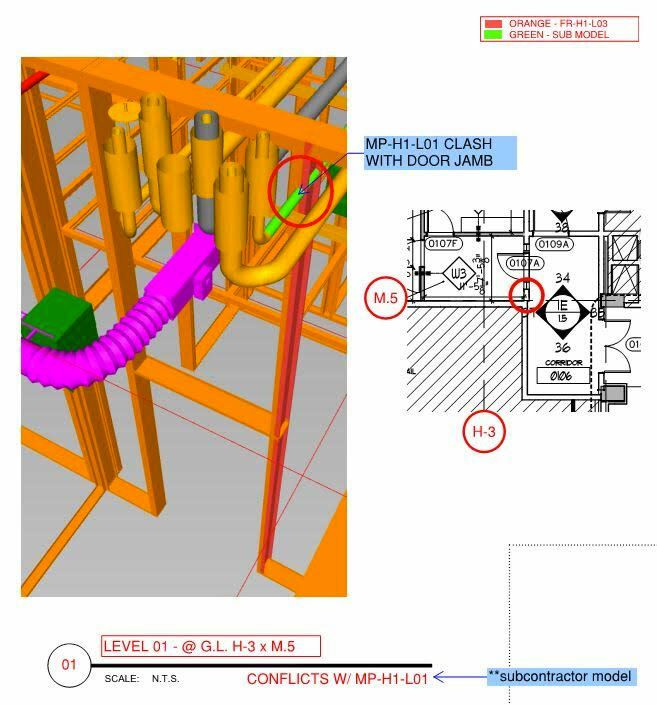 Drywall/Framing BIM modeling is often required as part of the BIM coordination process. Devco can provide this service from BIM kickoff to signoff. Devco utilizes the latest software to generate quality BIM models. The software in our arsenal include Autodesk Revit with Strucsoft Solutions Metal Wood Framer, Autodesk Navisworks Manage, BIM 360 Glue and Bluebeam. Let us help you navigate through the challenges of model generation and clash detection within the project coordination schedule.